The 2006 Malegaon bombings were a series of bomb blasts that happened on 8 September 2006 in Malegaon opposite Shakil Goods Transport Company, a town in the Nashik district of Maharashtra, 290 km from Mumbai. The state Anti-Terrorism Squad (ATS) initially blamed the bombings on the Students Islamic Movement of India (SIMI), but a chargesheet filed in 2013 put the blame on the Hindu extremist group Abhinav Bharat. Here's all you need to know about the blasts. At least seven were killed and 125 were injured in the explosion that took place in a cemetery, adjacent to a mosque, at around 1:15 pm after Friday prayers on the holy day of Shab e Bara'at. Most of the victims were Muslim pilgrims. While security personnel spoke of two bombs attached to bicycles, there were other reports indicating that three devices had exploded causing a stampede. A curfew was imposed in the town and state paramilitary forces were deployed in sensitive areas. According to The Wire, the blasts were similar to an explosion that occurred in the New Delhi just three days earlier. Two low-intensity bombs were fitted on a Hero Honda motorcycle and rigged to detonate in Malegaon. The motorcycle used later led the police to the accused. The ATS rounded up nine people who had links to SIMI and HuJI. Two who were arrested had reportedly links with Pakistan. On 30 October, Noor-Ul-Huda, an activist of the Students Islamic Movement of India was arrested. The DGP of Mumbai said that the two other suspects were Shabeer Batterywala and Raees Ahmad. On 6 November, it was reported that the prime conspirator Shabbir Batterywala was an operative of Lashkar-e-Taiba (LeT) and the co-conspirator was Raees Ahmad of SIMI. Through the motorcycle used, the ATS found evidence which pointed to the involvement of Hindu extremist groups in the attack. 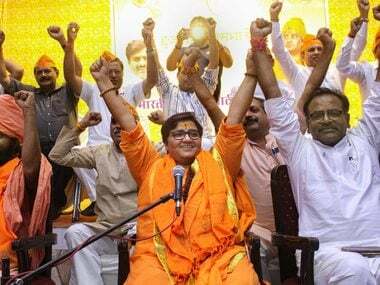 On 24 October, 2008, the police arrested three people in connection with the blast — Sadhvi Pragya Singh Thakur, Shyam Bhawarlal Sahu and Shiv Narayan Gopal Singh Kalsanghra. 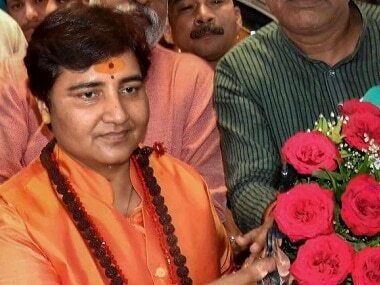 The names of Hindu organisations like Rastriya Jagran Manch, Hindu Rashtra Sena, Sharda Sarvagya Peeth and Abhinav Bharat came up in the investigation and further arrests were made. On 4 November, 2008, the ATS held Lieutenant-Colonel Prasad Shrikant Purohit, a serving Army officer, for his involvement. According to The Indian Express, Thakur, Major Ramesh Upadhyay, Purohit, Sameer Kulkarni, Rakesh Dhawade, Sudhakar Dwivedi aka Dayanand Pandey, Sudhakar Chaturvedi, Pravin Takalki were in judicial custody of whom Ramchandra Kalsangra and Sandeep Dange were absconding. The matter soon took a political turn with the BJP and the Shiv Sena accusing the ATS of harbouring political motives behind the arrests and accusing the Congress of using the ATS for its political gains. The prosecutors filed charges under the Maharashtra Control of Organised Crime Act, which requires the court to have taken cognisance of two previous chargesheets against one or more of the accused. In July 2009, the special court trying the case dropped the MCOCA charges on that ground that when the chargesheet was filed for Malegaon 2008, the cognisance of the accused was not taken in the other cases. The National Investigation Agency (NIA) took over the case on the direction of Home Ministry on 13 April, 2011, and it is still investigating the case. In 2015, the Supreme Court set aside the Bombay High Court order and dropped the MCOCA charges, claiming there was hardly any evidence against the accused in the previous cases. It also asked the high court to constitute a special court and begin the trial at the earliest. On 25 April, 2016, the court found the initial ATS charges to be fabricated and released the nine Muslims previously arrested. Nearly eight years later after ATS produced videos and transcripts purportedly showing Thakur as part of conspiracy meetings for the 2008 Malegaon blasts, both the ATS and NIA backtracked on it before the Bombay High Court. In May 2016, the NIA filed a supplementary chargesheet in the case dropped charges under the stringent Maharashtra Control of Organised Crime Act (MCOCA) against Thakur and five others after which she filed for bail. 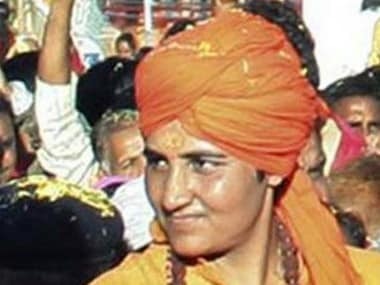 However, the bail plea was rejected by the NIA Court in June 2016 following which she appealed to the Bombay High Court contending that the NIA Court had considered only the ATS chargesheet and not the NIA chargesheet before rejecting her bail. In her fresh plea, Thakur contended before the high court that her health had been steadily deteriorating since her arrest in October 2008, and she had become 'infirm' due to numerous hardships she underwent during the probe by ATS. 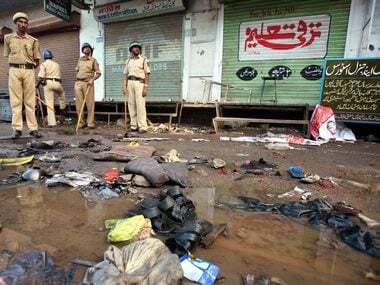 In June, 2016, the Congress demanded that the Narendra Modi government sack the NIA chief whose role in the investigation into the Malegaon blasts has been questioned by a Mumbai special court. 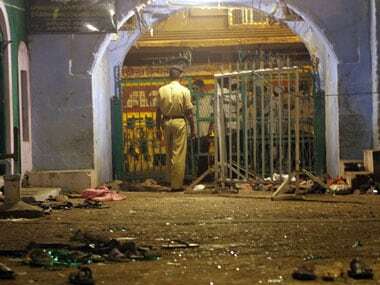 The NIA, on 17 April this year, told the Supreme Court that there was no need to keep the accused in the 2008 Malegaon blast case in judicial custody as a charge sheet has been filed in the matter. A bench of Justices RK Agrawal and AM Sapre was told by counsel for NIA that they were not pressing any more for the custody of accused in the case. "A chargesheet has been filed in the case and argument on framing of charges is going on and at the moment the agency is not pressing for police custody of the accused," the counsel said. The bench after recording the submission adjourned the matter for further hearing. Lt Col Shrikant Purohit and other accused Sudhakar Dhar Dwivedi, have moved apex court saying that the investigation has remained incomplete with NIA failing to file chargesheet and his detention without trial is illegal. The Bombay High Court on 25 April granted bail to Thakur but denied any relief to co-accused former Purohit in the 2008 Malegaon blast case. 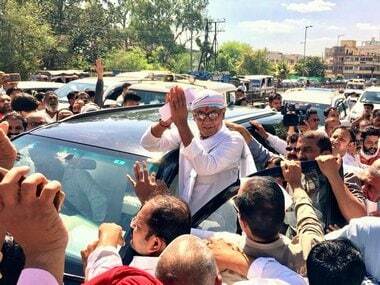 "The appeal filed by Thakur is allowed. The applicant is directed to be released on bail on a surety of Rs 5 lakh. The appeal filed by Purohit stands dismissed," said a division bench of Justices Ranjit More and Shalini Phansalkar Joshi. The court directed Thakur to surrender her passport to the National Investigation Agency (NIA). It also directed her not to tamper with the evidence and to report to NIA court as and when required.